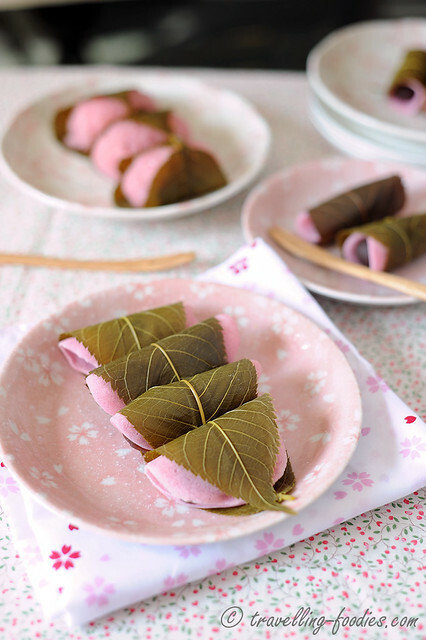 I love 桜餅 sakuramochi and eat them whenever I could find them or find time to make them. And it has mostly been the Kansai version where 道明寺粉 domyoji-ko is used. I love love love glutinous rice and enjoy practically everything that comes with it. So I always have a stash of domyoji-ko and pickled sakura leaves at home so that I can make them whenever a craving sets in. Oddly, I’d not made the Kanto version before despite enjoying them several times in Japan. So I guess its a good time to try!